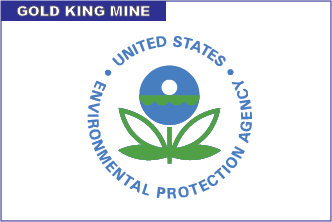 Senator Cory Gardner (R-CO) has announced the Environmental Protection Agency (EPA) is awarding over $260,000 in grants for response and cleanup costs associated with the Gold King Mine spill. Southern Ute Indian Tribe will receive $58,684; La Plata County will receive $7,495; the City of Durango will receive $9,993; San Juan County will receive $80,213; San Juan Basin Health Department will receive $4,591; and the Colorado Department of Public Health and Environment will receive $101,465 "to fund expenses related to the City of Durango's water quality monitoring in support of the Bonita Peak Mining District Superfund site." Earlier this month, Gardner worked to secure a provision within the Water Resources Development Act (WRDA), which expedites the payments of response costs assumed by states, Indian tribes, and local governments. It also requires the EPA to pay for the response costs within 90 days if the costs are consistent with federal law. Lastly, the provision establishes a long-term water quality monitoring program and authorizes the EPA to reimburse the states, Indian tribes, and local governments for this monitoring activity. "I'm encouraged the EPA has awarded more than $260,000 to Colorado communities for costs incurred as a result of the EPA-born Gold King Mine spill," said Gardner. "The EPA is responsible for this disaster and must continue to support the communities that suffered as a result. I will fight to hold the EPA accountable and ensure all affected communities and individuals are properly compensated."